UPDATE: this mission has been postponed to a later moment, please contact us for more information’. Are you a cleantech startup or scaleup with an innovative technology related to energy systems or sustainable building? Looking to present your technology at the US East Coast? Then join us on the Energy Systems & Sustainable Building Mission to Boston from 16 to 18 April. Discover how your solution fits local challenges, make relevant connections , and meet major global companies in the sector, amongst others GE and St. Gobain, during one-on-one meetings at a meet-the-buyer event. Ready to present your solution to key players in the City of Boston’s area development? 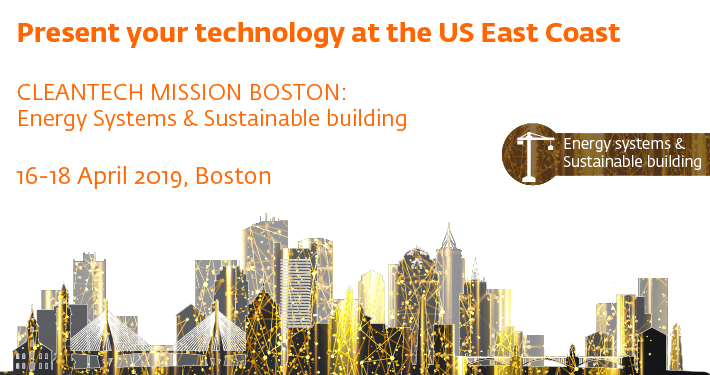 …then join us on the Energy Systems & Sustainable Building Mission to Boston from 16 to 18 April! First of all, this mission marks the arrival of the Clipper Stad Amsterdam, a historic sailing ship, in Boston. The ship represents the historic ties between the Netherlands and US and travels along the East Coast of the US* as a first step in a multi-year program in which we exchange knowledge, innovate and do business together, and work towards a sustainable future. During a townhall meeting at the Clipper, we will discuss challenges in urban development, current approaches to these challenges, and the (potential) role of the participating companies’ solutions for energy systems and sustainable building. Additionally – in close co-operation with our partner Greentown Labs – a Meet-the-Buyer event offers you the opportunity to get in touch with leading enterprises in the energy systems and/or sustainable building sector, such as GE, St. Gobain and Tokyo Gas. The event will give you the chance to have individual one-on-one meetings with key decision makers in these sectors. By establishing valuable collaborations, pitching your products and services, and discussing business partnerships this event can boost your company’s growth. You will also have the opportunity to mix with the network at Greentown Labs. Interested what technologies GE, St. Gobain and Tokyo Gas are looking for? Please download their ‘buyer profiles’ below. As (non)residential buildings are the source of 70% of greenhouse gas emissions in Boston, infrastructure and building are a major focus in tackling the city’s climate and emission challenges. The city considers itself as a national leader in green building and is promoting the next generation of high performance deep green building. Programs such as the E+ Green Building Program aim to facilitate energy and environmentally positive homes. New regulations moreover require large and medium-sized buildings to show improvement in their annual energy and water use every five years. 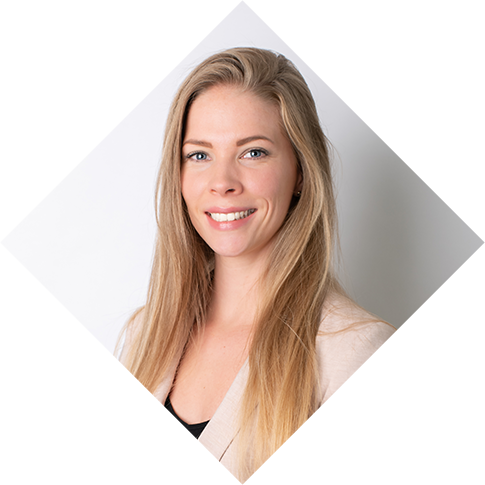 In the coming years the city will make extra investments to allow large buildings to adopt cutting-ede technologies for energy performance and facilitate the financing of energy performance investments for commercial and institutional buildings. The ecosystem in the Greater Boston Area and State of Massachusetts moreover add to the favourable conditions to implement innovations. Massachusetts’ progressive clean energy, innovation, and education policy environment and unique concentration of research and development, universities, innovation, and startup excellence have created the ideal environment for the world’s leading corporates, academics, and innovators to thrive. Through its economic development agency, Massachusetts Clean Energy Center (MassCEC, annual budget +-$28 mln), the State of Massachusetts puts Clean Energy to work, and actively supports job creation and long-term economic growth across the Commonwealth. MassCEC works to increase the adoption of clean energy while driving down costs and delivering financial, environmental, and economic development benefits to energy users and utility customers acrosse the state. The state has moreover set the gold standard for energy efficiency and ranks first in Bloomberg’s Innovation Index, as well as in per-capita early-stage clean energy venture investment. Boston is the number one city for startups according to the U.S. Chamber of Commerce. The participation fee for startups* is €150 p.p. excluding VAT. For SME’s €400 p.p. excluding VAT will be charged. This fee includes the programming for the two days, most lunches and dinners, and local transport. Hotels, flights and other out-of-pocket costs are not included. Please note: for Dutch companies who decide to combine participating in this mission with the BOSteRDAM program a discount will be applied. If you sign up for the BOSteRDAM program before the mission, your participation in the mission will be free of charge. If you decide to participate in the BOSteRDAM program after the mission has ended, we will detract the mission fee from the BOSteRDAM fee. For more information on the program see the BOSteRDAM website.